Sometimes we get the question, "What does JazzErie actually do for us?" (sometimes snarky, sometimes not.) Well, actually, quite a lot! As we approach a New Year, JazzErie looks back on this past year's season with pride. We brought you two internationally famous groups. First the Sonny Fortune Quartet. 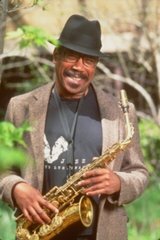 A representative of expanding musical sensibilities of the '60's and 70's, Fortune brought with him a fine trio of supporting musicians, among them the outstanding bassist David "Happy" Williams, long time associate of pianist Cedar Walton. Then, this fall, the very contemporary, very tight and very intense Moutin Factory Quintet, one of the best touring small groups on today's international scene. 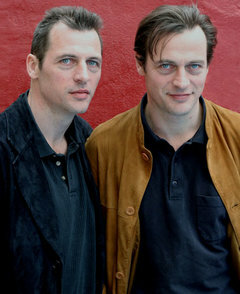 Led by twin brothers, bassist Francoise and drummer Louis, this Paris-based group demonstrated a high level of musicianship and entertaining creativity.. 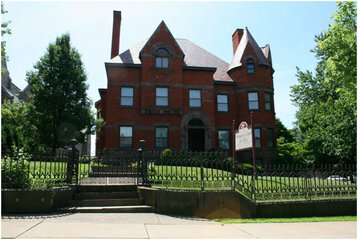 Both of these concerts were held in the very hospitable performance space at the Erie Art Museum. 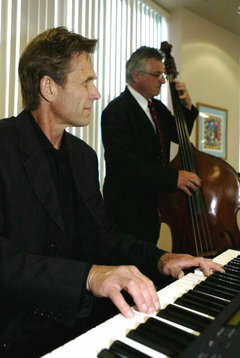 Improvisation in Jazz was combined with improvisation in Dance, in an innovative concert at Mercyhurst University, with at follow-up concert in the Spring at the Erie County Blasco Library. This outstanding pair of performances brought together the Allen Zurcher Quartet and SoMar Dance Works, along with Mercyhurst dance students in performances that featured original music and original choreography, both structured with open space for performer improvisation. A stunning show! 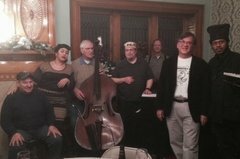 "Exploring the Border ( Words & Music) brought regional poets convened by poet Chuck Joy together with regional musicians, featuring saxophonist Mikel Prester for a pair of shows, at the Erie Art Museum and the North East Cultural Center. Solo reading and playing, various pairings and other combinations combined the music and musings of jazz and poetry. "Music at the Mansion," a party for JazzErie members at the elegant Erie Women's Club, featured the equally elegant Charles Ventrello Trio. The Party brought substantial warmth and a large, convivial gathering on a cold evening in January. Also included weere a preview of "Exploring the Border" and other JazzErie calender events. 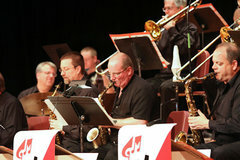 "Next Generation," an annual JazzErie concert at General McLane High School in Edinboro, PA, featured student jazz bands from five area high schools, along with a performance by the Misery Bay Big Band and saxophone soloist Allen Zujrcher. This event also includes presentation of JazzErie's $1,000 scholarship to a graduating student jazz musician in the region who is pursuing higher education in music. And the JazzErie Jazz & Blues Walk, Eight local jazz & blues bands at eight downtown locations, all on a beautiful Saturday night in June. Performances by the Mark DeWalt Quartet, the Duke Sherman Blues Band, the Charles Ventrello Quartet with Katie Chriest, singer Lydia Marks' Quartet, the Monk's Brew, Gruvology Jazz at PACA, the Blues Beaters, and Steve Trohoske & Friends, plus beverages and finger food in a reception at the Erie Art Museum --all for a donation of $10. It was a wonderful evening of very fine music and fun. Best deal in town. This was the final year for JazzErie's "Jazz For Young Ears" workshops in Erie-area elementary and middle schools. Led by Dr. Scott Meier and Dr. Allen Zujrcher, the program has reached well over 1,000 area youth during its seven year history. 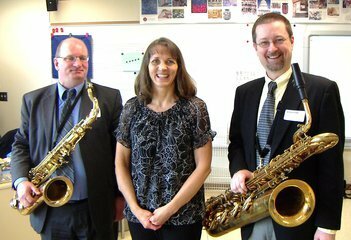 Board members are currently developing a new in-school educational program to bring jazz to young students. We've already mentioned the Next Generation program, geared toward high school students. And for us adult guys and gals, Charles Ventrello leads a JazzErie Jazz Discussion Group on the third Thursday of ear month at the Erie Art Museum Annex. Bring your favorite CD..